After a brief hiatus we return to bring you the latest installment of our culinary "adventures." It's Tuesday so that means a trip up to the church, a wait in line with the crunchy neighborhood yuppies, and a dinner filled with farm fresh vegetables! 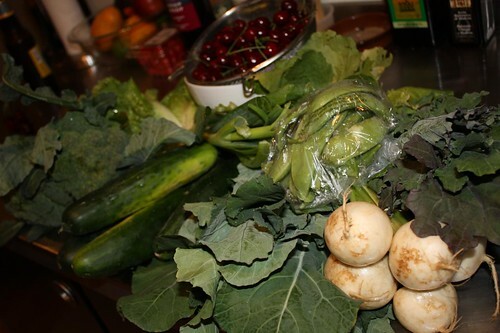 Today we received: Japanese turnips, collard greens, kale, sugar snap peas, cherries, cucumbers, broccoli, the tiniest head of lettuce I have ever seen, and scallions. The unusually large amount of rain we've received has hampered growing a bit and ruined a few crops with unseasonably cold temperatures. 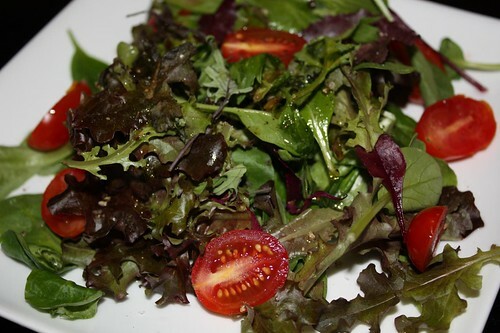 I used some more of the Locally Known mixed greens to make a simple tomato and lemon salad. Unfortunately they didn't age particularly well. They weren't inedible but they definitely haven't improved in quality over the last five days in the fridge. 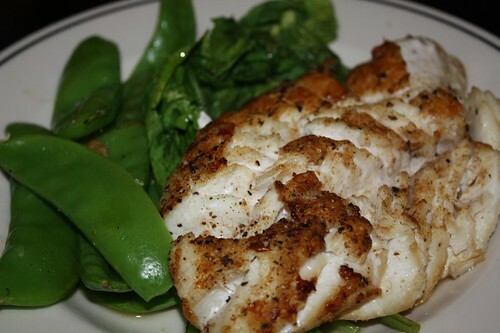 I got a beautiful piece of cod from my local fishmonger today. Well, he's not super local but he is in New York City so that's got to count for something. I seared it with a little olive oil, salt, pepper, and Old Bay, then finished it in the oven. I threw in the turnip greens and sugar snap peas for the last two minutes and served them all together with a squeeze of fresh lemon juice. 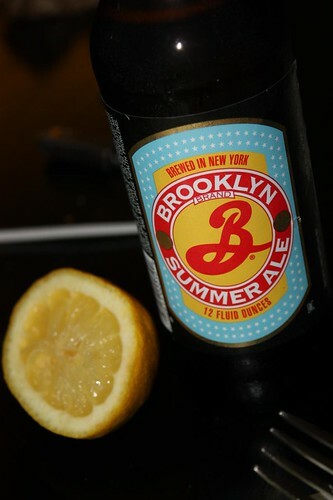 What better to accompany some delicious cod loin than Brookyln Brewery's Summer Ale? 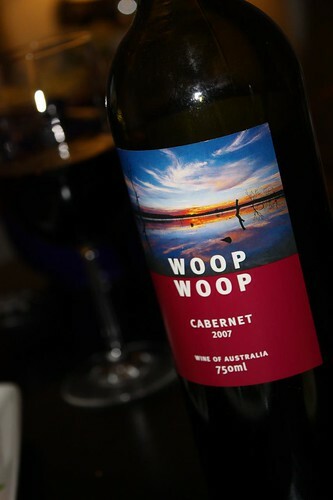 Well, how about a heavy red wine? I'm no wine expert but everyone knows that a heavy red wine is the perfect accompaniment to a white fish. That's just basic wine knowledge.